I was interviewed by the Daily Herald a few weeks ago for an article about how to save money and be more prepared for case lot sales. The article was published today and I'm pleased with how it turned out! #1. Establish Price Points - Know what your "great deal" price is before heading out to the store! #2. Do Your Homework - Bulk buys aren't always the best deal! #3. 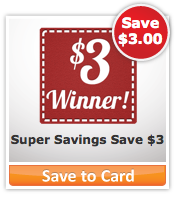 Cut Coupons - Savings always stack up when you match coupons to sales! #4. Set Money Aside - Put away a little $ each month in preparation for bulk buys throughout the year! #5. Take Inventory - Find out how much more food you actually need before buying more! #6. Split It Up - Share the cost of bulk buys with family or friends if you can't use it all! #7. 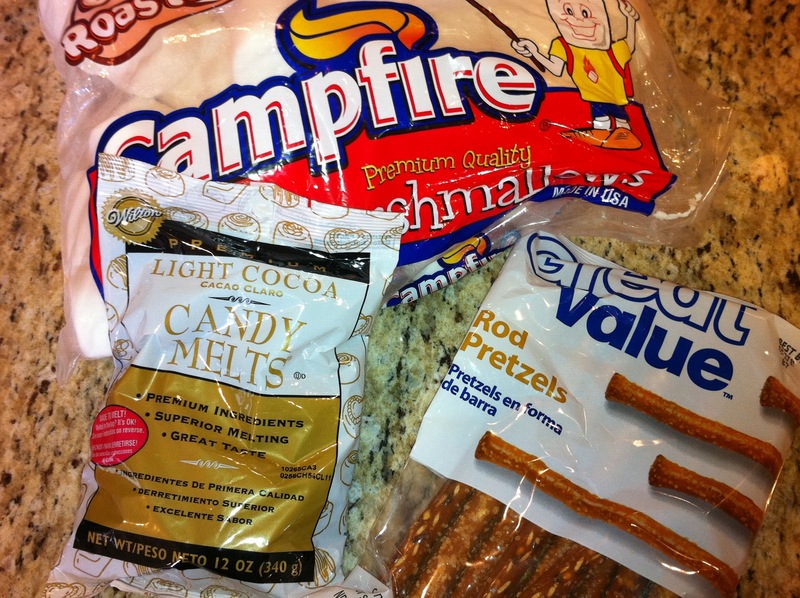 Buy Only What You Use - Trying out new products in bulk is a bad idea if your family ends up hating them! #8. Invest In Food - You should consider your food storage as an investment in your future! 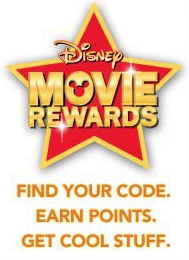 Right now you can get 50 FREE Disney Movie Rewards points to add to your account! Just sign up for the Cars 2 Sweepstakes and you'll get a code worth 50 Points! New to Disney Movie Rewards? Read Here! I was so excited when JustLu asked me to do a guest post on her blog for Finance Month! I must admit, I'm fairly new to the blogging world, as my blog, ASavvyLife, has only been around for about 6 months, so Lorene had to patiently walk me through how this all works :-) So where have I been if I haven't been blogging all my life? Couponing my guts out! I started my career as a deal seeking maven in the LA area soon after graduating with a degree in Advertising from BYU. With the cost of food, housing, and just breathing triple what I was used to, I quickly learned that couponing could be a significant way to contribute to our household "income". 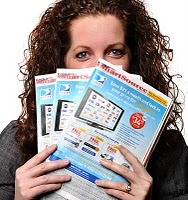 3 kids later and a move back to Utah brought me fortuitously to www.SavvyShopperDeals.com where I am now known as The Savvy Shopper for the state of Utah. I love my savvy life, as hectic as it may be, and am honored to help over 20,000 families save thousands of dollars a year on their grocery bills and hopefully help them develop a better hold on financial security in their lives. As an avid couponer for the last 18 years, I employ a variety of savings strategies to boost my shopping power at the store. Whether it's coupon matching, price point comparisons or multiple newspaper subscription purchases, saving money at the grocery store can certainly become a chore for many shoppers. However, a few key insights in to how store sales are actually run can minimize shopping trips and maximize grocery budget savings! One little understood ad tactic is called "Loss Leader Advertising." At it's core, this is a simple method by which grocers and retailers alike, attempt to draw shoppers in to their stores on a weekly basis. In basic terms, Loss Leaders are all items displayed on the front page of any grocery or retail sales flyer. (Loss leader produce buys can also be found in the top section on the back page of grocery ads.) These groceries or even clothing and other household products are drastically discounted in order to excite shoppers into running out to the store and saving big bucks! In essence, these companies are trying to Lead you in to their store by taking a Loss on the products they're advertising. They're not necessarily taking a loss in revenue for selling the products so cheap, though sometimes they are. Typically, they just aren't making as much money as they normally would. 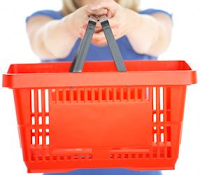 The goal in putting low cost items on the front page of an ad is to get shoppers into the store in the hopes they will buy the rest of their needed grocery items or other non-sale items while they're in the store scoring the advertised hot deals! Basically, they want you to buy not only what's on page 1, but what's also on page 2, 3, 4 and even extra items not advertised. However, Smart Shoppers stick with page 1! (That's not to say that with a few great coupons you can't snag some amazing deals throughout the rest of the ad as well!!) If you are just starting out in trying to build your food storage or trying to simply shop a little savvier, stick to page 1 of any sale ad and you'll be sure to stretch your budget a little further! Secondly, it's important to understand how these loss leader sale items tie in to sale cycles and when you should stock up on products for your family! Hot loss leader sales don't happen every once in a while, they happen every month. And quite noticeably, the same product lines go on sale again and again, at approximately 3 month intervals. Have you every noticed how often Betty Crocker Cake Mix or Quaker Oatmeal go on sale? Did you know that almost every single item stocked at a grocery store goes on sale at least once every 3 months? It's true! That means, you should consider planning your grocery purchases to match these 3 month cycles. You don't need to buy a years supply of Campbell's soup in one shopping trip especially if you don't have money in the budget to do so (unless it's a truly amazing sale of course ;-). You can still fill the shelves in your pantry quite well by planning on making bulk buys in quarterly installments instead of all at once. Sometimes this makes "stocking up" easier on the wallet! Knowing how sales work is half the battle in winning big savings at the grocery store! Shopping with your 2 year old who keeps screaming he needs a sucker is the other! My FIL sent me an email with some awesome tips on saving money while pumping gas! I haven't tried these out but they sound very logical - who knew!! Only buy or fill up your car or truck in the early morning when the ground temperature is still cold. Service stations have their storage tanks buried below ground. The colder the ground the more dense the gasoline, when it gets warmer gasoline expands, so buying in the afternoon or in the evening....your gallon is not exactly a gallon. One of the most important tips is to fill up when your gas tank is HALF FULL. The reason for this is the more gas you have in your tank the less air occupying its empty space. Gasoline evaporates faster than you imagine. Gasoline storage tanks have an internal floating roof. This roof serves as zero clearance between the gas and the atmosphere, so it minimizes the evaporation. WOW - a few simple changes could add up to big savings when pumping gas! Head over to Freesamplepurex.com for a free sample of Purex with Zout! I was so excited when Purex sent me a bottle of Purex Crystals Softeners to try out. Plus they gave me 3 coupons for free bottles to give away! 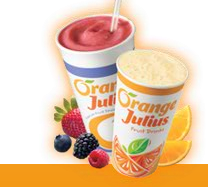 Please email me with your addresses so I can mail you out a free coupon! A Savvy Giveaway - Purex Complete Crystals + $0.99 Purex Sunday! I was so excited when Purex sent me a bottle of Purex Crystals Softeners to try out. I was intrigued when I saw these on sale at the grocery store as I have only ever used dryer sheets to soften my clothes. When I picked the bottle up off the shelf, my 1st thought was that it looked like bath salts. Bath salts for the laundry - interesting! But, the best thing about Purex Crystals Softeners is that it is 92% natural which means Purex Complete Crystals is the only major softener that doesn't use tons of oil to make clothes feel softer (found in most softeners)! Most fabric softeners use oils which strips children's sleepwear of non-flammable chemicals which are put in place to protect the child wearing them! But Purex is uniquely different, so our kids are kept safe! Purex gave me 3 FREE full size bottle coupons to give away! Entering to win is easy. Just click on the Purex Website HERE and tell me what % of oil most fabric softeners use and post it in the comments below! While you're there watch the child sleepwear saftey video - it's very informative! I'll give One FREE bottle coupon away to 3 different users on Monday morning so get to clicking! 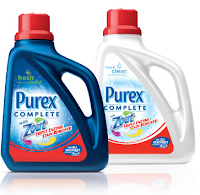 FYI - we will be getting a $2.00 Purex Complete Crystals Coupon on Sunday! Match this up with Walgreens $2.99 sale next week = $0.99 + keep your kids safe! At our house we love maple syrup! And while I stock up when it goes on sale for rock bottom prices at the grocery store, I also like making my own maple syrup for our family for even less $$$. Mapleine Syrup extract from Mccormick makes truly some of the most delicious maple syrup I have ever tasted! And guess what!?! 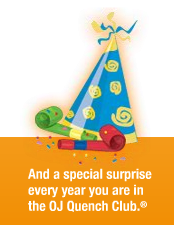 You can use Mccormick spice/extract coupons on this product to cut your costs! Watch for McCormick coupons very soon ;-) Maple Syrup extract is a great pantry item that you should have readily available in your own cupboards! If you've never made maple syrup before, it is soooooooo easy! 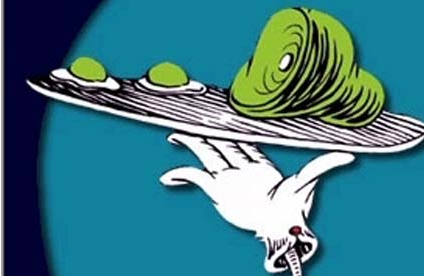 And if you're looking for something fun this St. Patricks Day, how about dyeing your maple syrup green (the kids think it looks like Palmolive) for breakfast, along with green scrambled eggs and green "ham" (bacon) and green pancakes. The bacon comes out a weird green color when you cook it with a couple drops of green food coloring , but still fun! My dad always dyed our pancakes green for St. Patty's Day and it's a fun tradition I continue with my kids each year! I love it when I can use hold hold and pantry items already on hand to create fun with my kids. I like these Shamrock Potato Stamps from Family Fun because it's simple and I already have everything required to make these. These would make a great note card to attached to a plate of Rainbow Cupcakes for a neighbor gift on St. Patricks Day! Press a heart-shaped cookie cutter into the cut face of a potato half. With the cutter still in place, use a paring knife to cut the potato from around the heart (a parent's job). Remove the cutter, then dip the heart into green acrylic paint and press it onto the paper. Repeat to make two more leaves, then use a paintbrush to add a swish for the stem. If you're an avid Facebook user like I am, you should understand a new feature introduced to help your comments/compliments/complaints be seen by manufacturers, retailers and even friends! It's called Facebook Tagging! Basically, you are allowed to refer to a friend, manufacturer, grocer or retailer by name when you post a comment in your status. To tag a FB page you must "like" them or be a "friend" first! Then, simply use the @ sign and begin typing their name. 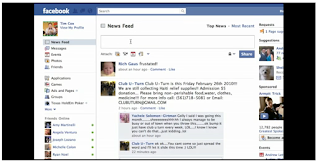 A drop down menu will appear and you can select the appropriate Facebook page you want to mention. Here's the coolest part: when you mention a Facebook page/company/friend in your status update your comment is also seen by everyone on their Facebook page. Kind of cool huh! So why would you use this Facebook feature? It's a great way for friends to see you've been talking about them or automatically link them to a recent photo of them and your comments about it on your Facebook page. It's also a great way to show support for brands or companies you love, as well as express frustration, and be heard! Many companies are also starting to run giveaways which include tagging as a form of entry. A few month ago when Lowe's ran their awesome Black Friday Facebook giveaway they asked users to tag them to show support. It didn't count as an entry for the giveaway, but I believe tagging will soon be an option for many Facebook promotions and giveaways. Tagging is easy, but while I use this feature regularly I also use it like salt, just a little to taste. Tagging manufacturer websites too much puts a bad taste in other Facebookers mouths and you'll find your comments being marked as spam which could get you kicked off Facebook for a minimum of 24 hours. The birthday freebies keep rolling in for my dearest Macgyver! The latest freebie comes from Papa Murphy's and entitles the birthday boy to free cookie dough on his birthday - yum! Sign up for Papa Murphy's Eclub to get your Free Cookie Dough, as well as other coupons and promotions! I'm soooooo excited! Walmart has updated their Coupon Policy to include giving users overage and accepting catalina coupons! I just wanted to make sure everyone saw this hot deal from Cellfire! Today only, until 6pm EST you can get up to a $3 loadable coupon on your Smith's or other Kroger store shopping card! I was asked to be the Young Women's Camp leader at my church a few weeks back. O.k. I'm pretty sure they asked me to be in charge because they knew we'd eat like queens and apparently last year they thought they almost starved to death. There's something about camping and being out in the woods that just makes everyone hungrier! I do have to say, while I love camping, fishing and all that outdoor stuff (yes, I even tie and bait my own hook - thanks dad!) I found out we will be going to a camp facility with cabins - YES!!! Not only that, but there's hot running water, showers, real bathrooms, electricity and more - WOOT, I love Heber Valley Girls camp! Run a sharp knife under hot water. 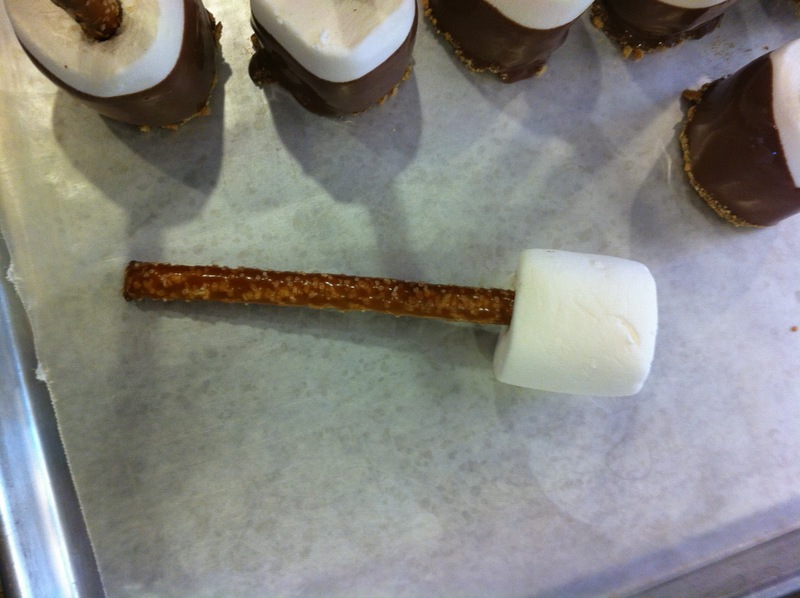 Wipe blade and insert all the way through a marshmallow. 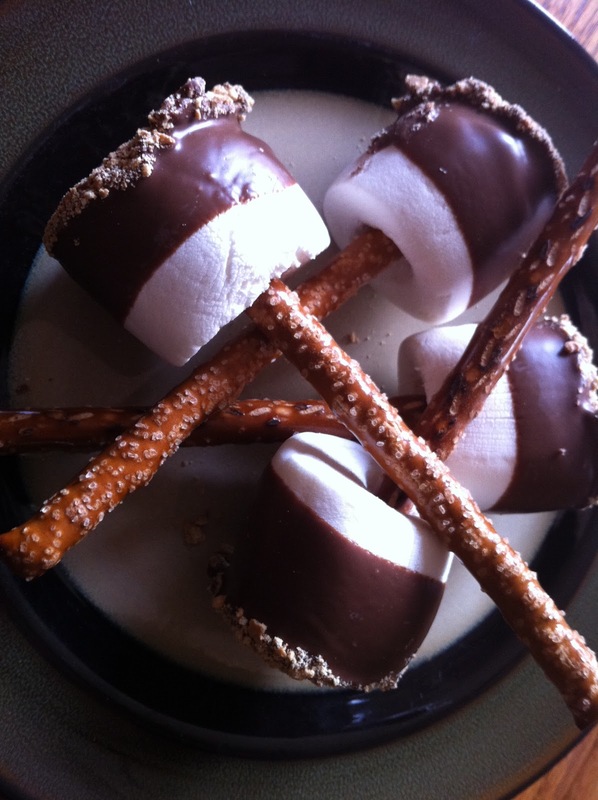 Repeat for each marshmallow. 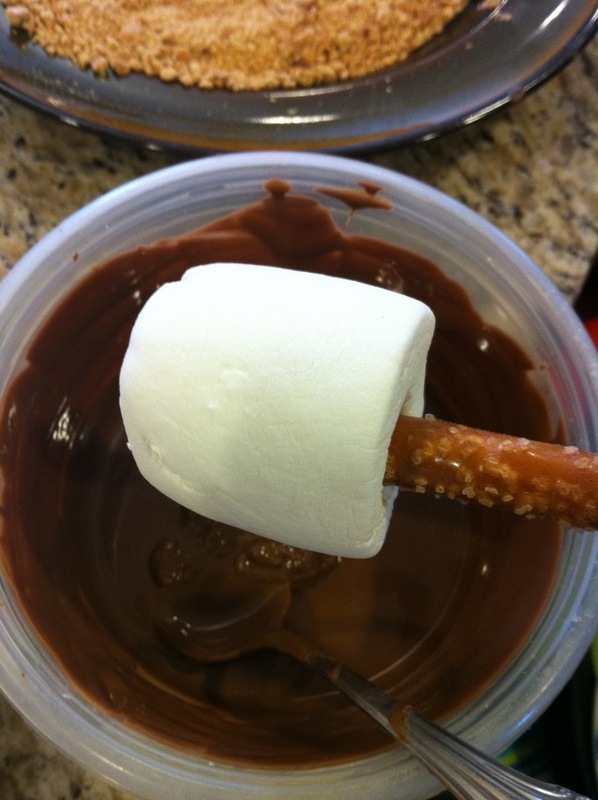 Insert a pretzel rod just to the end of the marshmallow. 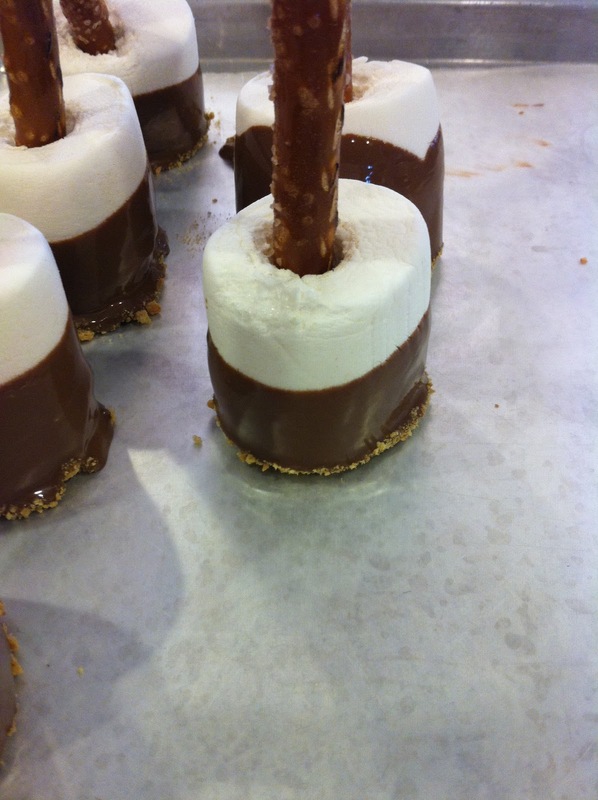 Complete all marshmallows before the next step. Place on a wax paper lined cookie sheet. 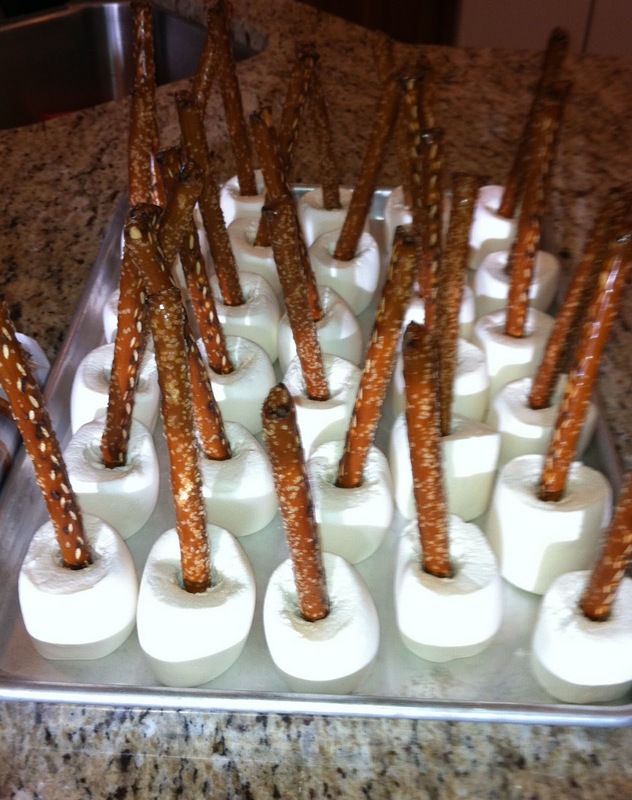 Step #3: Lightly press freshly dipped marshmallow in coarsely crushed graham cracker crumbs and place on wax paper to cool. Repeat. 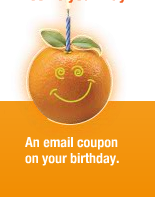 When you sign up for Quiznos email club they'll send you a coupon for a FREE cookie when it's your birthday!